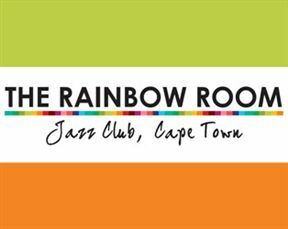 Introducing Cape Town’s new Jazz Club THE RAINBOW ROOM At last Capetonians now have a top central city Jazz and dinner venue! Since opening mid December 2009, The Rainbow Room at Mandela Rhodes Place on St George’s Mall the superb line up of well known local artists and young up and coming talent has had residents and visitors alike flocking to the club. Enjoying top class jazz in a superb environment that mirrors overseas clubs of the same genre is not the only thing the Rainbow Room offers: delicious “Soul” food and social drinks add to the experience making a memorable evening! The philosophy of these regular sessions is to feature Cape Town’s top musicians supported by young up and coming musical talent. The brains behind this venture; Alison McCutcheon and business partner Frank Gormley of The Rainbow Experience, Eric Alan of Jazz Rendezvous on Radio 2000 and Aki Khan of Eastern Acoustics have networked and collaborated with musicians and the top acoustic specialists to ensure that this new venue is an optimum performance environment. Sessions will take place four times a week and Monday sees Listening jazz with head set and jazz jamming, Thursday offers AfroJazz with Shado Twala offering her choices for fabulous entertainment, Friday evenings takes you on a smooth jazz trip whilst Saturday will showcase mainstream jazz. During the week sessions start at 6pm allowing you to enjoy a relaxing time after work and beat the evening traffic gridlock. On Saturday prepare for an evening of pleasure from 8pm. Great food is part of the experience so book early and enjoy some Cape Town soul food: delicious butter chicken, lamb shank with dollops of garlic mash and morogo plus traditional cuisine done the rainbow way! Chef Whaheed Rojan will have daily surprises to keep one coming back for more. The format of the sessions is simple: an opening act of one set by student musicians drawn from the music schools of Cape Town, followed by two sets featuring the best jazz musicians from Cape Town. Nationally and internationally acclaimed musicians will be featured when the occasion arises. There is no prescribed play list and the Rainbow Room will encourage the artists to perform their original compositions as well as the well known International and South African jazz standards. With a cover charge of R50 (special discounts for music students and musicians) and this convivial atmosphere, whether seated at tables or the bar, you can enjoy jazz at its very best. 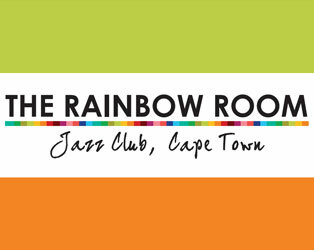 The Rainbow Room is a true music venue in all senses and acoustically provides the best that Cape Town has to offer. Aki Khan of Eastern Acoustics spent many hours fine tuning and developing the venue and says he is proud to be the technical partner of The Rainbow Room. His vision is to assist in empowering musicians, technicians and in growing the music business through quality live recordings. With this in mind all performances will be recorded with the view of releasing “Live at The Rainbow Room” compilations and full CD’s of all concerts. This means there will be a strict “silence during performances” policy in place during the sessions Research into successful Jazz venues in international cities has shown that creating a space of respect for musicians and the music has resulted in outstanding musical experiences where musicians perform at their optimum. Expect the unusual to be the usual and the Rainbow Room to become your venue of choice to visit on a regular basis. Need to know? Booking is essential 021 422 1428 Cost: R50 cover charge plus any refreshments. Dinner is served before and after the main act. Interpark Parking off Burg Street with direct access to Mandela Rhodes Place. The Rainbow Room is 0.3km from the centre of Cape Town , the nearest airport 20.5km (Cape Town International Airport).